DELAWARE WEATHER GUY – Weather news and events covering the entire state of Delaware and MORE! Fifth in a series on how weather impacted and changed world history. Queen Elizabeth was a wonderful leader and tremendously strong Queen of England. She had astounded others with her vision for England both domestically and in the world. However, she was going to be tested for the dominance of Europe by the Spanish in 1588. The Spanish were bent on defeating the young Queen and invade England to create a Catholic Europe. And they had the strength of manpower and ships. Phillip II was awkwardly related to Elizabeth in that he wasn’t Elizabeth’s real father. Phillip was Catholic and Elizabeth was Protestant. Phillip was King of Spain. He wanted to test his step-daughter. In early July the Spanish fleet set sail. The English fleet lay in wake of seeing the Spanish. By mid-July, the first ships had been seen. Initially, the campaigns were back and forth. Yet, the Spanish made a long trip even further by sailing up and around Scotland. It prolonged their return to Spain. As they made this turn around Spain they made a navigational area that sailed their ships directly into westerly winds and to compound that they were the equivalent to a hurricane. Ships were destroyed. Men were killed in the thousands. And the English took thousands of Spanish prisoners. The end was near for the Spanish. And England remained Protestant. 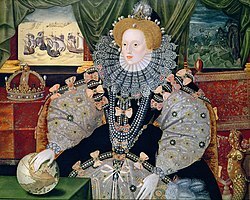 Elizabeth was now a touted world leader and someone to be feared. Then a massive cracking of the cold Florida air that morning of January 28, 1986. The Space Shuttle Challenger was on its 25th flight with seven astronauts including a civilian turned astronaut Sharon Crista McAuliffe. She was a teacher in a school in New Hampshire who had been chosen to be the first civilian space astronaut in the NASA program. The launches at the Cape had become almost routine in those days, but this was to be a special morning for all of us. Now, in Florida in the winter it does get cold. However, this January morning as unusually cold with temperatures in the mid 20’s near takeoff. NASA cancels flights for all kinds of reasons. A clear, beautiful cold day wasn’t going to stop the mounting pressure to get Sharon Crista MaCullife into space that morning. NASA knew that specific parts of the ship, as well as the boosters, could be impacted by the cold weather. Ice had built up on the shuttle the previous night with temperatures down near 20. Normally, all of these conditions would have been enough for NASA to cancel the flight and wait for warmer temperatures. Not this morning. Challenger was gone. A burst of combustion and a massive, rocking explosion disintegrated the entire ship. The solid rocket boosters shot off into the ocean. Pieces of debris fell all over the Atlantic near Cape Canaveral. Seven beautiful lives were lost. A nation watching as a school teacher who was experiencing the time of her life evaporated in front of her students watching in New Hampshire. It was over in 73 seconds. Later it was found that due to the cold temperatures the O-ring expanded on the solid booster had started to leak gases which ignited the external tank attached to the shuttle. The ship actually disintegrated not exploded, but the outcome of the crew was never in doubt. They were literally evaporated into thin air. They never felt a thing. The investigation led to the faulty O-ring but there was a memo circulated around NASA recommending the flight not take place in temperatures below 53 degrees for fear of the O-ring issue. The decision makers never saw that memo. It was 26 degrees in Cape Canaveral that morning. It should of never happened. April has started and it seems like March’s weather has just rolled right April. Two sections of the country tell a different tale. In the southern half, Spring has arrived! Yet, wintry precipitation has maintained its hold up north and it looks to stick around at least through the middle of the month. Spring will come! Maybe by May! The northern half of the country is still waiting for Spring while the southern half has already gotten a head start. This is projected snowfall through the middle of April per one model. No April Fool’s Joke. Early April Snow Effects flying in on the western low express. Mostly non-paved surfaces will be coated. Monday morning rush will just look like a white, rain event. Downstate all rain. It just doesn’t want to end! First in a series of posts about how weather impacted events in our history. September 11th, 2001 was a day we would like to forget. Yet, just like a lot of historical events in history, weather played a critical role. The surface map shows the weather map at 7am on September 11th, 2001. In the blue, we can see a massive round high-pressure system in the Mid-West this gave us and most of the country a beautiful, clear blue sky day. In red is a cold front that had moved through the night before which actually gave NYC rain that night. Also, just to the east in the Atlantic was Hurricane Erin. Erin was threatening the East Coast until that cold front swept it way out to sea. It’s very possible that IF that cold front had not pushed through Erin would have threatened the East Coast with at least high, thick clouds all down the Eastern seaboard. This could have either thrown off the attackers and given authorities more time to uncover the attack. It was close to being a ring for the FBI and CIA. They were about to grab some of the attackers. Yet, it was a beautiful sunny day. Hurricane Erin missed the East Coast. Until 8:46am. Born on that day were 2,996 angels.